At Yankee Doodle we ALWAYS put the customer first. Feel free to look through our favorite brands below, but if you have your heart set on a brand that you don’t see here - please ask us! We work with nearly all of the fireplace, insert and stove manufacturers out there and are sure to come up with just the right solution for your needs. With a complete lineup of feature-rich wood, gas and pellet burning models and a varied selection of fireplace accessories to choose from, Avalon stoves, inserts and fireplaces not only look great but they're also a great value! Lopi is a world-class manufacturer of high quality wood burning stoves and fireplaces inserts; gas stoves, fireplaces and inserts; and pellet stoves. Lopi hearth products are designed to operate efficiently and last for generations. Some value our reputation for energy efficiency and innovative design. Some appreciate that we build every product here in the US. See for yourself why more than a million customers have chosen Fireplace Xtrordinair. Committed to offering the best options for environmentally sustainable heating appliances, Enerzone provides a selection of wood stoves, wood fireplace inserts, pellet stoves, and wood burning fireplaces everywhere. The Ambiance Brand from SBI has create the most innovative, easy-to-use, and well-engineered gas fireplaces and fireplace inserts available. Offering modern & beautiful gas fireplaces and gas fireplace inserts. Jøtul has the world's biggest and most experienced network of dealers. They are happy to help you through the entire process of buying a fireplace. There are certain things you should consider before getting started. European Home offers a complete line of contemporary indoor and outdoor gas and wood fireplaces. We’ve got you covered: from linear to vertical, from suspended to see-through. Element4 produces stylish contemporary gas fires. 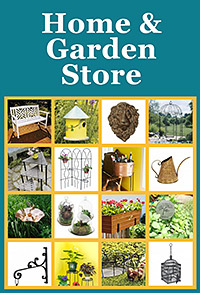 Impeccable looks and ease of use are central in all our designs. Innovation is also very important and this strategy of innovation and design appeals to everyone. 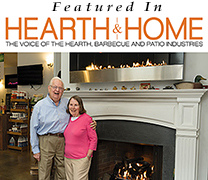 Supreme Fireplaces Inc. has been manufacturing wood burning fireplaces since 1981 when its founder, Emmanuel, made his first firebox insert in his garage from steel scrap material to improve the efficiency of his fireplace. SÓLAS gas fireplaces feature outstanding radiant heat, simple operation and a soothing fire effect. Learn more about the style, quality and technology behind SÓLAS beautiful contemporary gas fireplaces. For more than 65 years Real Fyre has been creating beautiful gas fire products you can buy. We build gas fire logs so authentic looking, they’re equally beautiful with or without a fire burning. From extraordinary beauty and realism to the latest technology, EIKLOR FLAMES” leads the way. As a leader in the ‘gas logs’ industry we specialize in manufacturing gas logs. 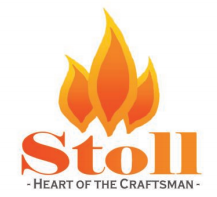 Stoll Fireplace has become the leader for innovative ways to decorate your fireplace by creating a complete line of fireplaces that are found in the finest fireplace specialty stores. David Kimberly Door Company is the leader in the custom-built fireplace door industry. Each and every door is handmade to the exact specifications of the customer. 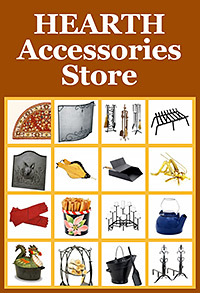 America’s best-selling fireplace accessories for over 65 years. Pilgrim is trusted by millions of families to be at the center of the home with fireplace screens, tool sets, and home décor solutions. Reproducing colonial style with old world technique, Minuteman fireplace accessories lend depth and character to home decor. Our legacy of CSA-certified technology ensures the highest quality and safety for memorable residential and commercial applications.